Church street, as it's name implies, runs from the junction outside the Saracens Head past the Minster and on into Easthorpe. 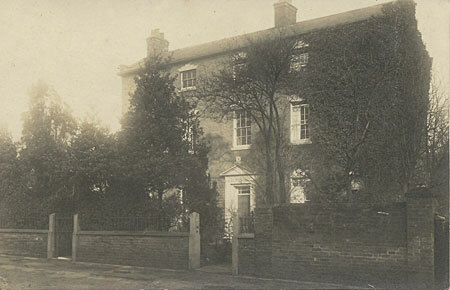 Woodborough Prebend (31 Church Street) nearly opposite the Minster. Checking with Google Street view it appears that things haven't changed much in the last 100 years, apart from a bit more foliage. 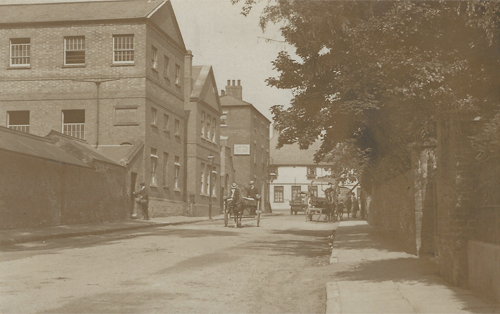 A Chruch Street, street scene showing the Grammar School, a horse and trap, the Crown Hotel and the Saracens Head.